Dan Goodsell is the artist behind the lovable Mr. Toast, an innocent piece of toasted bread who just seems to enjoy life. Goodsell also does original artwork involving characters other than Mr. Toast, in this case, Darth Vader’s Death Star. But he puts a little smile on the Death Star and he no longer seems to bad. Maybe Alderaan was all just a misunderstanding. Who could stay made at a cute little Happy Death Star? The original painting is just 1 of 10 made by Goodsell. 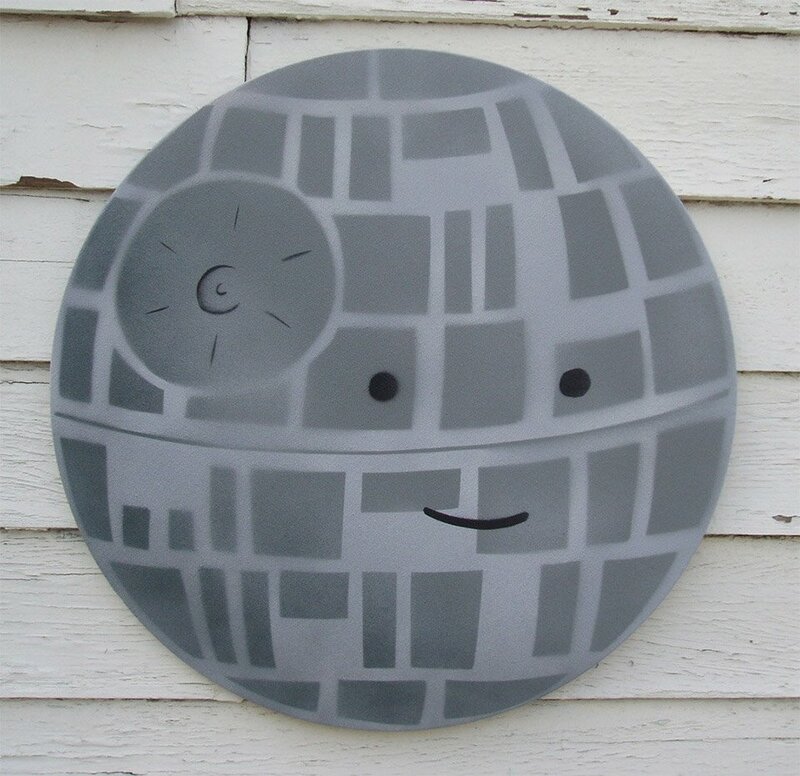 It measures 20 inches in diameter and will look great hanging on the wall of your Tatooine home.